2 – How much does it cost? 3 – My Event is in ________ – Do you go out there? Yep! We DJ events all over Western Washington (well, the world actually). 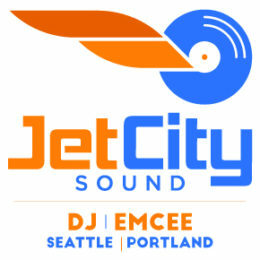 Love Jet City Sound and need us somewhere specific? Just let us know where and we’ll be there! 4 – My event will have some kids at it. Is your music appropriate? Yes! Kids, grandparents, cultural sensitivities or any other special needs for music; Jet City Sound has you covered.